WWE Games (formerly, WWF SmackDown!, WWE SmackDown!, and WWE SmackDown vs. Raw) is a series of professional wrestling games first released by THQ until 2013, when Take-Two Interactive's 2K Sports took over. Games in the series are primarily developed by the Japanese based company, Yuke's. WWE 2K17 is a sports game developed by Yuke's and released on PlayStation 3, PlayStation 4, Xbox 360, Xbox One. WWE Immortals is a wrestling video game developed by NetherRealm Studios in collaboration with Phospher Game Studios and published by Warner Bros. for iOS and Android platforms. 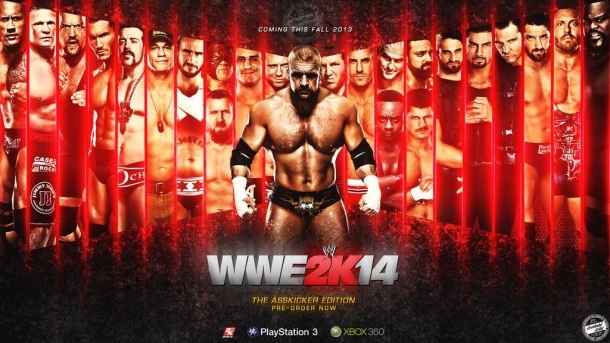 WWE 2K15 is a wrestling video game developed by Visual Concepts and Yuke's and published by 2K Sports in October 2014 for Xbox 360, Xbox One, PlayStation 3 and PlayStation 4. Born in rainy England & living in sunny Jamaica.. Football Lover, Food Eater, Video Game Master & WWE Guru.